Rachel Levin is a famous YouTuber from America who is known for her beauty and lifestyle videos. 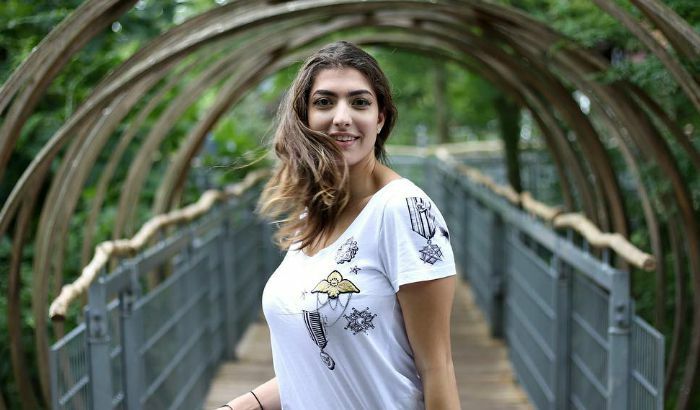 Her YouTube channel titled “Rclbeauty101” is considered the fastest growing channel on the platform with more than 12.5 million subscribers. Her videos are famous among the teenage audience and have a large fan following on social media. She was ranked on the top of their list of social media influencers under 21 and has received several awards, including Teen Choice Awards and Streamy Awards. Rachel Levin was born on 24 February 1995, in Philadelphia, Pennsylvania, U.S. She is currently 24 years old. Rachel Levin’s mother name is Debra Levin, who is a lawyer. Her father is a doctor. She has two older brothers, Josh and David Levin and a younger sister named Daniella Levin. She also has two half-siblings, Alyssa Neel and Cory Neel from her father’s second marrige to Beth Levin. Rachel attended Lower Merion High School and then at the Penn State Brandywine University with a full scholarship. But she dropped out of college to become a full-time YouTuber. Rachel Levin is currently dating Tyler Regan. She confirmed her relationship with Regan through a YouTube video to her fans. Before, she was in a relationship with Instagram star Isaac Nakash from 2013 to 2016. She hasn’t yet acted in films yet. In 2015, Rachel first appeared as herself on the reality comedy series YouTubers React. Rachel Levin has an estimated net worth of $3 million US dollars. With no doubt, she makes most of her money through YouTube and other forms of social media activities. She started making videos for fun during her high school but had never thought she would become a social media influencer as she is today. Rachel created her Youtube channel at the age of 15 where she posts beauty, fashion, makeup tutorials, DIYs, life hacks, comedy, skits, and all types of genres she likes. Her first video was titled “How to Conceal Under Eye Dark Circles”, was published on December 15, 2010. At the age of 16, she was featured on The Wall Street Journal article for her cosmetic DIYs. She has made it to Steve Harvey, Today and other leading publishers. Her most popular video on YouTube was with her friend called “Disney Princess Pool Party” that has garnered over 215 million views. Her YouTube channel gained 6 million subscribers in less than a year. Levin has been featured on the front cover of magazines such as Adweek. She refers to her fans as Levinators.